If Instagram has taught me anything within the last few weeks, it’s that peony season should be year round. Really, I don’t know if there’s ever been a more beloved flower on social media. 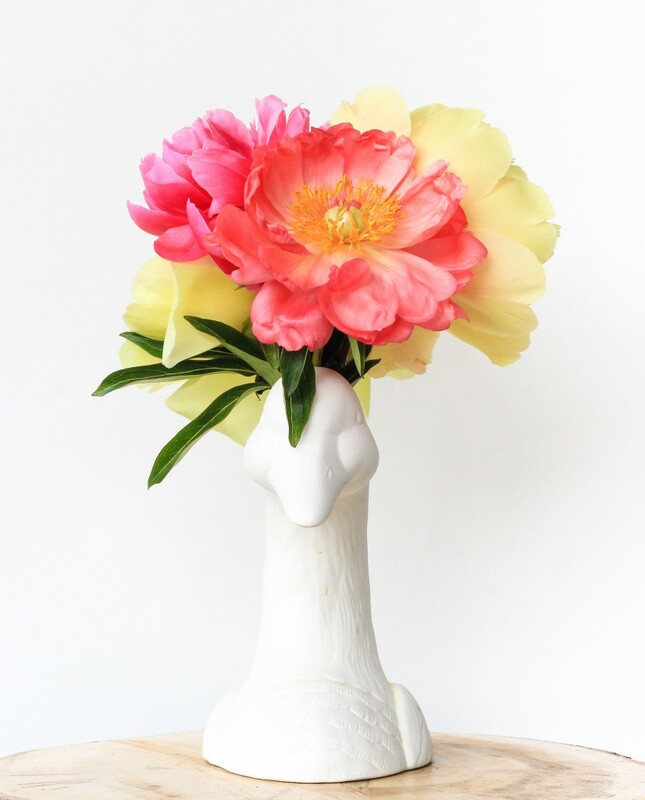 Before those beautiful blooms go out of season, you’ll want to follow these five simple steps for making your peonies last longer. That way, you can be sure to enjoy (and photograph) them enough to tide you over until next year! 1. If you don’t have plant food (that comes with most flowers), you can add a bit of sugar to your water. 2. Peonies are affected by the heat. At night, place them in the fridge, or outside (if it’s cooler) to keep them from opening further. 3. Cut the stems at an angle, under water, every other day. This allows for the flower to absorb more water. 4. Replace the water every two days; you’ll notice the water getting a bit brown even after 1 day. 5. Use cold water when refilling the vase. If you need your blooms to open up quickly for a photo shoot or event, warm water will open them up in no time. 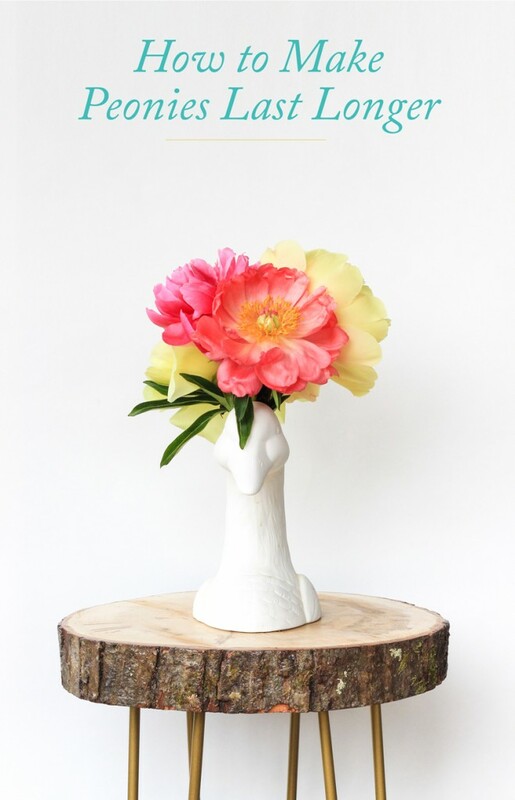 Another tip– you can also find cheaper peonies directly from the grower. Check your surrounding area for farms! I went to two about 40 minutes outside of Portland that were packed full of different varieties, plus the price was about half of what you pay for in stores. And if you really want your peonies to last forever, I recommend pressing a few of the petals to turn into dried flower coasters! Depending on your envelope, you may be able to buy an envelope liner template. I decided to make my own, by opening up an envelope and measuring/tracing the space I wanted to line. Once you have your template, it’s pretty easy! Trace and cut out your liner. You don’t want the liner paper to be too thick, otherwise it might be hard to get the envelope to close. Place inside your envelope and fold as if you were sealing it. Press the outside with a bone folder to get a crisper/cleaner fold. Open back up and secure the liner in place with the tape runner. You don’t need to worry about the paper further down, just the visible part. Press with a bone folder and you’re done! It’s such a great way to add a personal and beautiful touch to any card, don’t you think? I ordered our cards from Minted this year LOVE them. If you’re short on time, but still want your envelopes lined, Minted will do that for you! They will also address your envelopes for free, which honestly was a huge help considering how busy things are around this time of year.